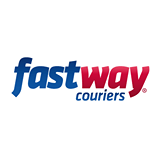 Fastway Couriers is the world’s largest Courier Franchise. Fastway was established in 1983 in New Zealand and has been in business for over 25 years. Fastway couriers launched it’s franchise pre-paid courier system in 2009 in South Africa. Visit our website for courier franchise locations in the Johannesburg region, Durban, Cape Town and more.